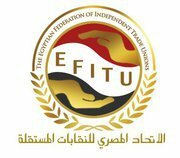 Change: The henchmen of the old regime are still in positions of power at the top of public institutions, behaving in the same corrupt and thieving manner, just as they do in their continuing roles at the head of the National Democratic Party’s labour organisation, the Egyptian Trade Union Federation. Freedom: The law on trade union freedoms has not been ratified and we fear it will suffer the same fate as the treason law which was sent up to the Supreme Council of the Armed Forces around a month ago and which has still not been passed while the law criminalising strikes was ratified at lightning speed. Social Justice: There has been no answer to the demands of the Egyptian working class for a rise in the minimum wage and pension and for the setting of a maximum wage, meanwhile workers face victimisation and the sack for trade union activism and some have been sent to the military courts. If you are in London come to protests at the Egyptian Embassy, 26 South Street. Egyptian activists are organising demonstrations every day from 5-7pm. On Tuesday 22 November 5-7pm bring trade union and student union banners. Sign the statement against military trials and repression in Egypt. Invite a speaker from MENA Solidarity to your union branch meeting. Contact us at menasolidarity@gmail.com for more information. November 19, 2011 in Egypt, Statements, Union news.